Cumberland Land Conservancy is well down the path to taking up ownership of a a 38ha property adjoining Mulgoa Road and Mulgoa Creek, Mulgoa for management in perpetuity for conservation. 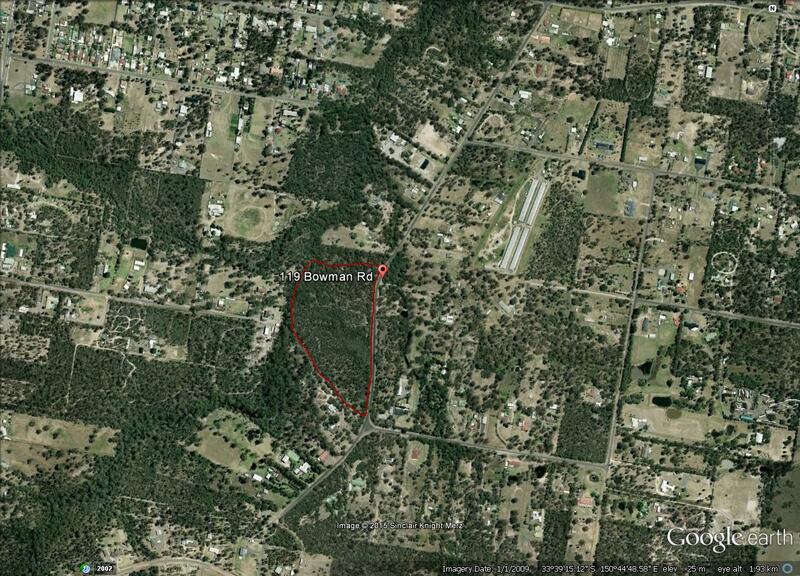 An aerial photo of the site they have named “Wallaroo” is provided herewith. On an afternoon which threatened rain, around 25 members took the opportunity to inspect the site on 20 March 2016 and all remained dry . A sub-committee is to be appointed to develop a Plan of Management for the site in consultation with the Nature Conservation Trust. This entry was posted in Anecdotes on April 5, 2016 by Wayne Olling. We provide herewith some extracts of Botanist, William Woolls’ observations contained in his work “A Contribution to the Flora of Australia”, published in 1867. Some species may have had name changes since then. This entry was posted in Anecdotes on June 2, 2015 by Wayne Olling. This entry was posted in Anecdotes on May 2, 2015 by Wayne Olling. IF YOU CARE ABOUT THE FUTURE OF THE MULGOA VALLEY AND OF FERNHILL PLEASE TAKE A FEW MOMENTS TO RESPOND TO THE DEVELOPMENT BEING PROPOSED BY SIMON AND BRENDA TRIPP. Keep it punchy. Use simple language and focus on the big ticket issues. It is OK to criticise elements of the DA. It can be helpful to recommend alternative action. Don’t be overly emotive and challenge the applicant’s claims if you disagree. Remember to request that all Councillors receive a copy of your Submission. The proposed subdivision is prohibited in the current E3 zoning. 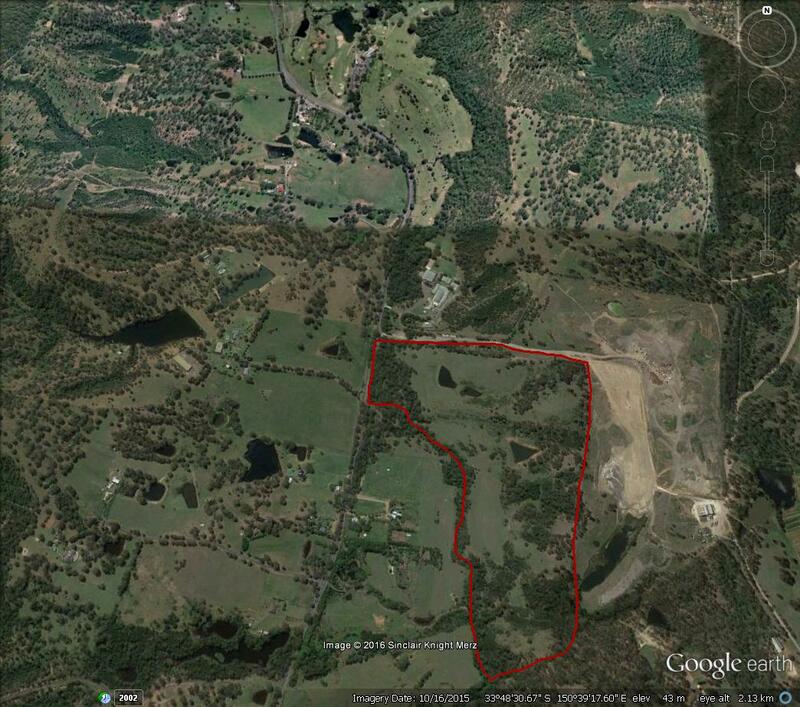 The subdivision, using the heritage incentive clause, would create a precedent that potentially threatens other heritage assets in NSW including within Mulgoa Valley, ie developers will be able to apply for massive scale developments (such as this one), generating profits far in excess of that which is needed to support PART of the costs associated with maintaining the heritage item. This is NOT the intention of the Heritage Incentive Clause. Tree planting and post, sandstone entrance and post and rail fencing is not designed to enhance the rural character but hide something which is ugly and out of character with Mulgoa. The community does not want Glenmore Park to be transported into Mulgoa. Endangered species assessment. The legally required assessments have NOT been lodged for the clearing of vegetation in the Western Precinct. Demand that Council does not issue a conditional approval which would allow the developer to lodge the necessary assessments after a decision had been made and in secret away from public and expert scrutiny. Proposed ‘offsets’. The developer proposes to trade-off the environmental impacts by protecting (‘BioBanking’) some of the bushland. Elsewhere developers have used these ‘offset’ areas to approve further clearing later on – a trick known a ‘partial retirement’ of the offset. Demand that all credits on the BioBank sites must be retired in full by any development – not left to assist further development. The Western precinct will have huge impacts on wildlife in the neighbouring Blue Mountains National Park and World Heritage Area. These impacts include nutrient, noise and light pollution which cannot be avoided. 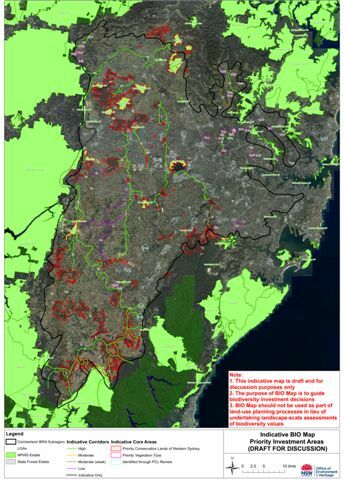 The proposal will completely cut the Greater Southern Sydney Koala Corridor. Koala populations in the Hawkesbury and Campbelltown are linked by a corridor of fertile bushland including the Western Precinct of Fernhill. Koala habitat is not found in the adjoining National Park and the western precinct proposal would break this breeding corridor completely. Shale Sandstone Transition Forest is the type of vegetation community occurring across the Western precinct (GHD Environmental Consultants 2014). It is about to be ‘uplisted’ from ‘endangered’ to ‘critically endangered’ by the NSW Scientific Committee which means, in the Committee’s own language, that ‘it is likely to become extinct’. This type of vegetation community is home to many endangered animals including Koalas and the beautiful Regent Honeyeater. Most of what remains of this forest is in patches smaller than 10 hectares but Brenda and Simon Tripp propose to destroy 44 hectares. Bushfire Risk. For those that experienced the bushfires of Christmas Day 2001, you will be aware of the speed at which wildlfire moves. It is the responsibility of Penrith Council in their decision to approve development within the Western Precinct of Fernhill to ensure that the 11 families who purchase within that subdivision can safely evacuate down Fairlight Rd. REMEMBER access to this area is via a ‘one road in, one road out’ scenario and the mass evacuation of all properties west of Mulgoa Rd down Fairlight Rd only may well present fatal consequences for new families. ALSO REMEMBER the highest fire danger days are associated with hot westerly winds which leaves little or no time for families located in the far west of the Cumberland Plain to evacuate – they will be first in line. You do not have to comment on all the issues, only the ones which are most important to you. There may be other issues which you may wish to add that are not part of the above list. The Office of Environment & Heritage (OEH) is proposing to establish “Green Corridors” on the Cumberland Plain and has met with a range of people and entities in the discussion stage. This entry was posted in Anecdotes on October 1, 2014 by Wayne Olling. This entry was posted in Anecdotes on July 30, 2014 by Wayne Olling. Parklea Correctional Centre in Western Sydney has two wetlands, one very large and one smaller, which have probably been the product of extensive landscaping works on what was perhaps a rural dam and drainage line prior to purchase of the land for a correctional centre by the government two or more decades ago. The landscaping and the quiet surroundings of the secured outer grounds of Parklea Correctional Centre provide an ideal habitat for a wide variety of birds, particularly water birds. The large wetland, by our estimate, occupies 5ha of area and includes quite a sizable island which is well supplied with trees. To the south and north of the wetland are expansive areas of naturally occurring and planted trees. There are shrubs dotting the area to the south but shrubs, particularly Kunzea ambigua, are in more dense supply in the northern area. Native grasses , herbs and groundcovers are in ample supply (along with weed species) but unless protected by shrubs they are subjected to regular slashing. Goodenia, Phyllanthus and Zornia species are well represented. Management of Parklea Correctional Centre kindly permitted Mark Fuller and Edwin Vella of Cumberland Bird Observers Club as well as Peter Ridgeway and Wayne Olling to conduct a walkaround survey of birds on 12 April 2014. The day was overcast and rain had fallen prior to the survey. The wetland was full of water and, being at the tail of the season for migratory wading birds, conditions were not best for finding those birds. They were absent. However, such is the capacity of the wetland to attract a wide range of water birds in the warmer and drier months of the year we anticipate the site would be ‘alive’ with these birds when other wetlands might be struggling. We are indebted to management of Parklea Correctional Centre for the maintenance of a viable bird habitat in Western Sydney and for affording us the opportunity to observe its function. For some pics of the wetland and some of the birds sighted subscribe via this website for the Cumberland Conservation Newsletter. Courtesy of Mark Fuller and Edwin Vella the pics appear in the May issue of the Newsletter. This entry was posted in Anecdotes on May 1, 2014 by Wayne Olling. 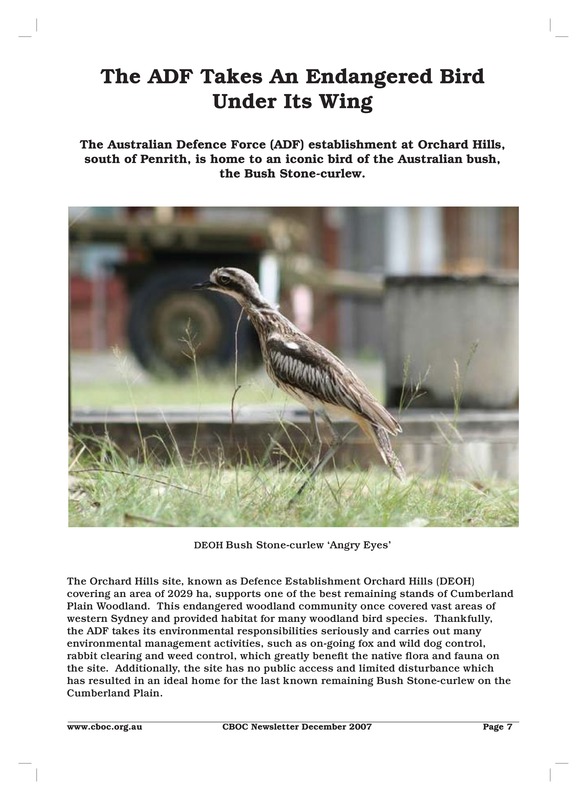 Last Bush Stone-curlew on the Cumberland Plain? This entry was posted in Anecdotes on February 27, 2014 by Wayne Olling. Is Greater Western Sydney going to be worth living in? It is the target of get-rich-quick land developers at a pace never before seen. Western Sydney does not have the beaches, the harbour, the sea breeze enjoyed by those in inner Sydney or east and north of Sydney. Greater Western Sydney has only its bush – its flora & fauna – but the modern day ‘development’ mentality is determined to take that from us and leave us with a sea of concrete, bitumen and brick. The development lobby have access to government and they have their way. Hard on the heels of the Catherine Fields Urban Development announcement is the finalisation of negotiations between land owners and the government for another urban development called Marsden Park North. These follow announcements of development in other places in South-Western Sydney such as Oran Park and Edmondson Park (to name two) and development precincts in Riverstone, Marsden Park Industrial Estate and a 10,000 house estate across the road from Marsden Park North on the former historic ‘Clydesdale’ site. Once rural settings are being obliterated. Marsden Park North Precinct is bounded by Richmond Road, South Creek, Eastern Creek and Garfield Road West. That part of the precinct we shall now refer to is bounded by South Creek to the west & north, Richmond Rd to the south, Park Rd to the east and Eastern Creek to the east and north and it is outlined in red on the map below. We don’t know all the conservation and heritage values of the land but we do know some. In the 19th Century St Phillip’s Church of England church building was constructed just off Richmond Rd and just short of South Creek. A cemetery was also commissioned and became the burial site for some of the Lock family through whom present day Darug people are descended. Other pioneers such as the Worboys were also buried there. A surprise to the people then and something to be noted by Planners today is that South Creek can flood exceptionally high. The wooden church building was washed away by flood long ago. Only the small cemetery with its headstones (some overgrown with grass) remains today although the Anglican Diocese of Sydney still owns the small area albeit surrounded by the large land holding of development proponent Angliss Estate (Garfied). The site is included in the LEP of the City of Blacktown as an historical site. Along the margins of South Creek are some old growth Eucalyptus moluccana and Eucalyptus amplifolia. Also, in the floodplain of South Creek is a wealth of water birds – frequenting, inhabiting, foraging and breeding. On the eastern portion of the site and easily visible from Park Road is bushland containing abundant TSC listed Grevillea juniperina and Pultenaea parviflora. The land is habitat for a mob of at least 40 kangaroos and Lace Monitors have been seen. A particular area adjoining and including the Angliss Estate along Park Road is identified in the City of Blacktown’s LEP because of its Aboriginal heritage significance – it is the site of a large number of Silcrete rocks & boulders. Advice from Darug elders indicates the area was a work site of early indigenous people for the making of tools, implements and weapons. A healthy Eucalyptus tereticornis at the base of the site is said to give appearance of dating back at least to the mid 19th Century and, as such, would add interpretation to the foregoing. Red outline signifies approximate boundary of the currently considered Angliss Estate and MAC 1 development footprint. We are left to await the extent of sympathy existing within development proponents and government for the natural and cultural heritage of Western Sydney and, more specifically, the City of Blacktown. Immediately below are images of water birds observed by others on the site. Near the bottom of the gallery is the headstone of one of the Lock family buried at the site. It is that of Jane Lock, daughter-in-law of Maria Lock, sister to Colebee. Maria Lock is present day Darugs’ link to their early heritage. Other Lock family headstones (not Maria’s) are thought to be covered by grass. The final two photos present as a bushland scene said to contain 50 to 100 Silcrete boulders amid grass and leaf litter and, among the boulders, are what Darug elders say are discarded Silcrete Flakes (chips). The boulders are thought to have been ‘worked’ by early indigenous people for the making of tools, weapons and implements. 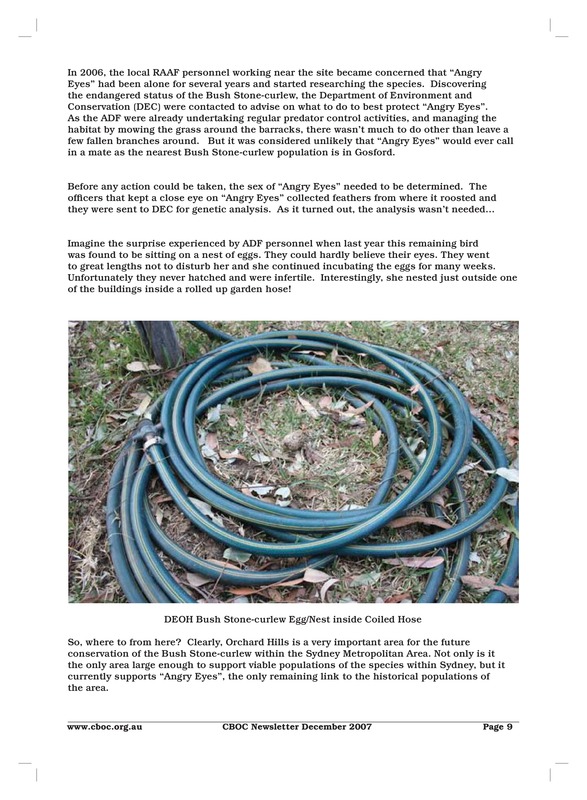 This entry was posted in Anecdotes on January 2, 2014 by Wayne Olling.